What you see here is the result of one day’s worth of living in a new top I decided to wear today. 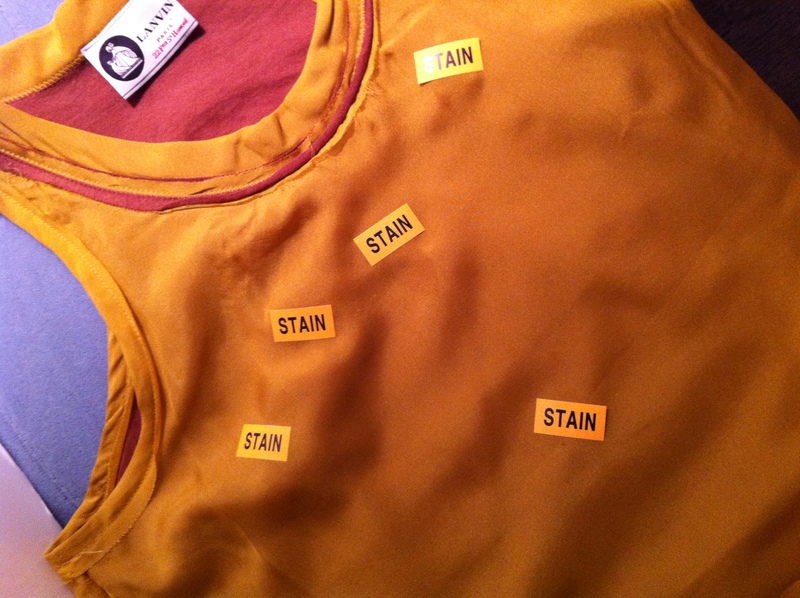 Please note that each stain sticker represents a separate incident in my new top and that I was only wearing it for the customary nine to ten hours. Perhaps Net-a-Porter sells a Sippy Cup? You are currently reading 39 going on 4 at Some Cozy Night. Categories: What the h** happened? ?